CRIME FICTION GETTING RECOGNITION IT DESERVES? As a great fan of crime fiction, think P.D.James, Sara Paretsky and many others, I was greatly encouraged by this story in The Times. 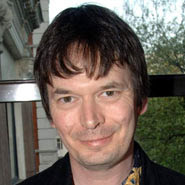 Photo of Ian Rankin also from The Times.